While the cost of computers has dropped significantly as a trend, the data stored on them has gotten more valuable. It is not uncommon for people to do their banking, taxes and even run a family business off of their home desktop or laptop. Also, as digital cameras have become less expensive and more capable, many family photos never end up on paper. Instead, they become just another type of computer file. In addition, computers often house the music and movie collections that used to take up space on living room shelves. All this adds up to a situation where the data saved on many household computers is more valuable and difficult to replace than the computer itself. Protecting all of this data is much easier and less expensive if there is a plan in place before something bad happens. Recovering data from a computer that has suffered some kind of fire or water damage is sometimes possible. However, this can require the expertise of a specialist working in a clean room. It is not uncommon for the bill to run in the thousands of dollars. Taking care of this data in advance would certainly be less expensive and allow for quicker recovery after an event. The added bonus to this is that paper documents can also be protected with the same backup system. The most reasonable way to protect important data is to use a two-layered approach. A good system will have one copy of the data saved somewhere locally and another saved offsite. The local backup allows quick access to saved files. The offsite backup is there for a second recovery option and for easier remote access to data. We are going to take a look at some examples of the most common backup options and then present a plan that can be tailored to what makes the most sense for your own situation. There are a few different factors to consider when planning a local data backup for disaster preparedness. First, it is important that this backup should be easily portable, so that is it easy to grab it and go, if an emergency occurs. Adding files should be easy, so that this backup will actually get used. Also, this backup needs to be either durable or protected in some manner, so that it will not become damaged if transported in a disaster situation. Considering these factors, the two most realistic options are to use either a USB flash drive or an external hard drive. Not all storage devices are created equal, though. USB flash drives range from well-designed products produced in a factory with good quality control to budget promotional pieces handed out for free at conventions. If we are making a backup of important files, it is well worth it to spend a few extra bucks to avoid a budget drive. Also, for newer computers with USB 3.0 ports, a USB 3.0 flash drive will save time when copying files to the drive. If you are not sure if this applies to your computer, don’t worry. All USB flash drives will work in all ports, some of the newer ones are just faster. 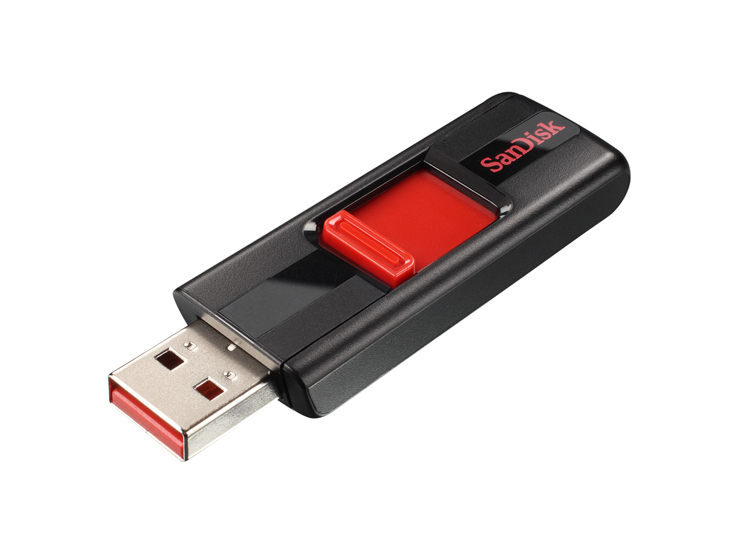 One common USB Flash Drive is the SanDisk Cruzer. This brand is widely available, from Walmart to Amazon.com and does not have a separate cap to loose. These drives are both pocket sized and surprisingly durable. I have seen one survive a trip through the washing machine in my front pants pocket. A large capacity flash drive of 16GB or 32GB is large enough to store the key documents and files of most users. Since we are setting this drive up for emergency use during a disaster, it can also back up our important paper documents. If you have access to a multifunction printer, this is as simple as scanning a good, clean copy of these papers and saving them to the drive. a few photos of every room in the house and of anything expensive for insurance purposes. Having that much personal information saved in one spot should make you feel concerned, especially since we live in an age of identity theft. Fortunately, SanDisk drives can use the company’s SecureAccess software to make a special, encrypted folder on the flash drive for saving these scanned documents. The SecureAccess software is available on SanDisk’s website as a free download, if you already have one of their flash drives lying around the house. If you have another brand of flash drive, check the manufacturer’s website, as some of them do offer similar software. If a file is encrypted, then no one can use it, without knowing the password. To really protect these files, make sure to pick not just a password, but a passphrase. The passphrase should be a few words that are easy to remember, but that other people would not guess. Avoid using the names of spouses/children/pets, their birthdays and other easily guessed choices. For example, I could pick a random, but memorable line from a movie like “I’m your huckleberry” and turn it into the passphrase “imyourhuckleberry”. Then, mix in some capital letters and numbers, so that a computer won’t be able to easily guess it, giving us “1my0urHuckleBerry”. Just make sure that the passphrase is something that will be remembered, without writing it down, because knowing it is the only way to view the encrypted files. Flash drives might be big enough for the average computer user, but people with extensive music, photo or movie collections just need more room. This is when the external hard drive becomes a solid option. They aren’t as bulletproof as flash drives, but do provide a lot more room to store all kinds of files. These drives also come preloaded with an easy to use “set it and forget it” backup program, to automatically backup files. Western Digital makes the My Passport line of drives and Seagate has their GoFlex models, both of which fit the bill. These are both commonly available on the Internet and your local electronics store. Because external hard drives are susceptible to damage, it is a good idea to keep it in some kind of case. Western Digital makes the WD Nomad hard case that will only fit certain drives. It is a water, drop and dust resistant enclosure designed with outdoor use in mind. One nice feature is that the drive can be used without removing it from the case. The Case Logic PHDC-1 is another good storage option that is not designed for any specific brand and should therefore work with most of the portable drives out there. It is a semi-hard case that should help protect your drive from accidental drops. Even with a good local backup, an offsite backup is an excellent idea for protecting important files. Just last week I heard someone tell the story of how someone broke into their apartment. The thief stole the laptop right off of their desk. They did have a backup of all important data saved to an external hard drive. Unfortunately, it was sitting on the desk, right next to the laptop and got stolen as well. Sadly, there was no remote backup, so lots of time went into recreating documents and some files were just gone forever. 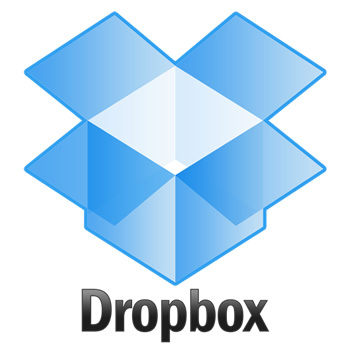 One of the simplest ways to start an online backup is with a free Dropbox account. This will set up a new folder on your desktop. Anything that is saved to that folder is securely backed up to the Dropbox servers. This program can share files between multiple machines and even some smartphones. All saved files are also available on the Dropbox website. This service is also a really easy way to share family pictures, without having to email them. I keep the “working” copies of files that are in use on a Dropbox account. That way, even if my computer dies or is stolen, I still have the current version of all those files. If someone plans on saving financial documents, tax returns or other such files to a Dropbox account, then there is a free program called BoxCryptor that will let them encrypt these files before they get anywhere near the Internet. Some online storage services will run automatic backups on a regular basis, like Carbonite, Mozy, Acronis and CrashPlan. Some of them offer a free account to get started and the option to purchase more storage space, as needed. Mozy’s software can be set up to save a copy of important files to both a local storage device and online storage, automatically. That way, there is always a recent backup on a USB flash drive or portable hard drive. This is about as easy as it gets to keep two backups of essential data. 1.) Click here and set up a free Dropbox account. This will provide space to save offsite copies of working documents that are used on a regular basis. You can backup any file, whenever you want, by just saving a copy to the Dropbox folder on your computer. This also gives you an easy way to share these files, if you choose, with family or friends. 2.) 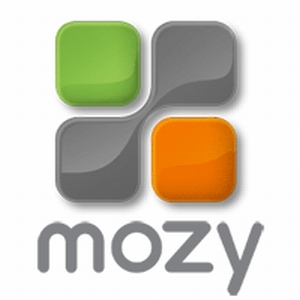 Then, click here and set up a free Mozy account. This starts out with 2GB of space. Their software will let you choose what kind of files to back up and show how much space is needed for those files. For most people, this is plenty of room to have an automatic, daily backup of your email, web browser favorites and a My Documents folder for other important files. Even if you forget to make any kind of backup copy of your work for a while, this will make sure that your key files are protected. 3.) Finally, if you don’t have a ton of music and pictures, a 32GB USB Flash Drive on Amazon.com will run you just under twenty bucks. This will give you a portable local backup for your most important files and also a place to securely save scanned copies of key paper documents. If there is already a good flash drive sitting around your house, then you don’t even have to spend the twenty. If you go to the 2xProtect tab in the menu of the Mozy software you installed during step two, you can have it automatically back up your files to this flash drive, too. This plan will set you up with a good backup solution for somewhere in the range of free to twenty dollars, depending on the flash drive used. 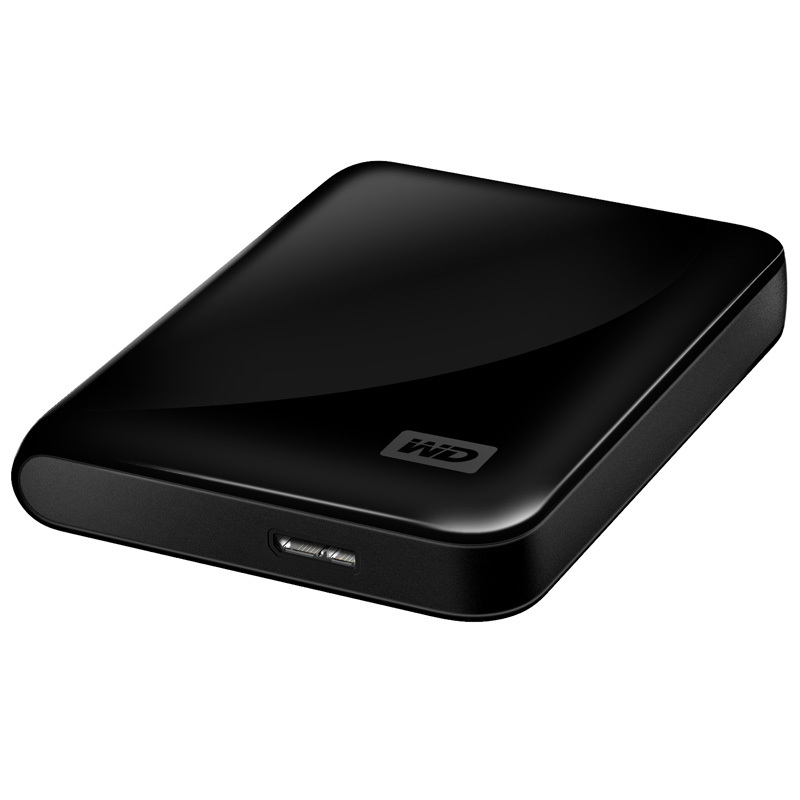 If you have a huge music and movie collection, then an external hard drive might be needed and these tend to run in the sixty to one hundred dollar range, depending on how much storage space is needed. Adding to your online storage space will run around five to ten bucks a month on up, depending on how much space you need. The really nice thing about this type of setup is that you can choose to grow any part of it to meet your own needs. You can buy more storage space from DropBox or Mozy later on down the road, if you need to or stick with the free service if it continues to fit your needs. With this two layered backup system, if anything bad does ever happen, you will be in a strong position to get back up and running quickly with your important files.